This week I’ll review local search optimization: the aspects of driving organic search visitors into Hi-Health’s brick-and-mortar stores. Local customers can choose to pop into one of these stores instead of waiting for their products to be shipped, and that’s where local search comes into play. 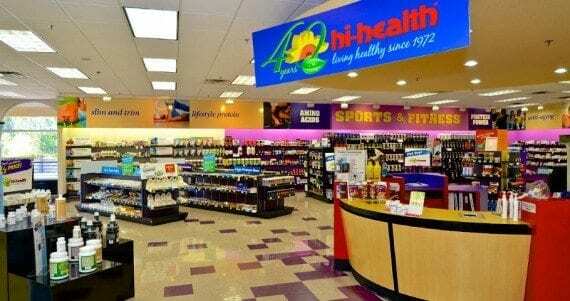 Inside Hi-Health’s Arcadia store. Source: Hi-Health Supermart Corp. According to the Think with Google research group, searchers on Google are 34 times more likely to search for locations “near me” than they were in 2011. The number of “near me” searches — search queries with the words “near me” in them, such as “vitamin store near me” — nearly doubled from 2013 to 2014. And 80 percent of those searches are happening on smartphones. Moreover, global media measurement giant comScore estimates that 80 percent of those smartphone searches convert. Searchers know what they want. And they want to know where they can get it, right now. Let’s analyze that question with Hi-Health as our example. As well as offering people on the site a way to find stores, the store locator plays a vital role in search optimization. The landing page for the store locator itself will often be one of the highest performing pages on the site. But the individual store location pages should also be driving organic search traffic. To do that, the store detail pages need to be accessible to search engine crawlers. These individual store location pages are important for a couple of reasons. First, they can rank in traditional search results and compete with other directory-type sites like yellow pages sites, reviews sites, and social sites like Yelp and Foursquare. This gives Hi-Health the opportunity to win more searches and drive more customers to its own site for accurate location information, branding, and promotions. But it also steers more shoppers away from potentially inaccurate or less flattering content on other sites. Second, individual store location pages serve as official data sources for all of the other sites that offer business location information. They act as verification that the data these other sites have is correct — assuming the data on your site is correct. And they provide the perfect place to link to from other business listing sites. There is no better place to link to from a Yelp listing or a Google My Business listing than the exact store page. In short, a crawlable and accurate set of store location detail pages is essential to local SEO. Hi-Health nailed it. In addition, Hi-Health has all of the information you’d expect on the store location pages: location name with town or intersection keywords, address, phone number, hours of operation, and a link to a map and directions. Hi-Health also has multiple images of the individual locations, and a link to its weekly ad. The only other content Hi-Health could add would be a short textual description of the location, including local landmarks, streets or other information customers might use in describing where the store is. 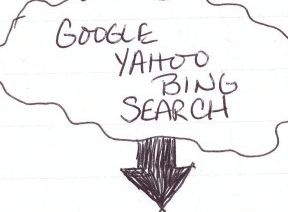 All of this information is excellent for SEO, and it’s all crawlable on the page. Behind the scenes, Hi-Health has some optimizing to do. The title tags, meta descriptions, and H1 headings for every store location page are the same. These should reflect the store’s unique location to send better relevance signals. For example, the title tag “Store Locations” doesn’t send strong location signals to search engines. In addition, when it’s used as the link in the search results pages it doesn’t inspire confidence in the searchers that the page is really what they’re looking for. A competing page’s title tag of “Hi Health Supermart – Gold Dust Village Paradise Valley AZ” is far more helpful to searchers and more visible, as shown below. Lastly, store location pages should be marked up with structured data using Schema.org’s classification system. The Organization and Local Business schemas should be used in the store location page template around the address, phone number, hours, and other information. Using structured data makes it easier for search engines to find and quickly digest location information on the page. In addition to on-site store location search, businesses with physical locations need to seed a network of directories and social sites with accurate information about their store locations. This is typically handled fairly easily with one or two sites like Google+ or Yelp or a yellow pages provider. But there are more than 300 players in the local search ecosystem; many receive data feeds from businesses as well as other sources, such as location data giants Acxiom and Infogroup. Reaching all local search sites isn’t really feasible without contracting with a specialized vendor. But Google is also a business location hub from which many other sites receive location data to power their sites. One of the ways Google sources its data is through Google My Business, which enables business owners to feed in their location data. Google+ pages for local businesses are one of the results of these data feeds. 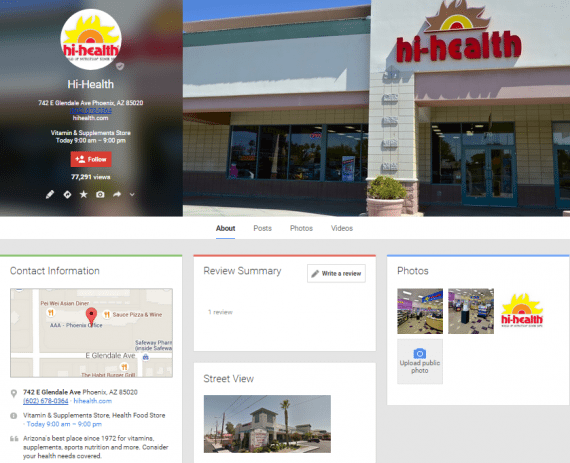 Google+ page for Hi-Health’s Glendale Avenue location. Again, Hi-Health is doing a good job with its Google My Business presence. Each store has its own page, with the same information and images presented in the location finder on its store. That’s the first step. 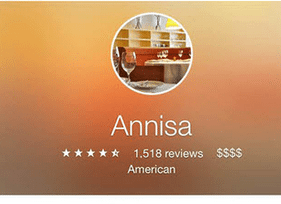 From there, an article about optimizing Google+ would go into encouraging reviews and the importance of posting content on Google+ as a social channel. But this article is about local search, so instead we need to talk about the critical nature of the accuracy and completeness of that business data in Google My Business. This information feeds Google Maps, the map results in Google’s regular web search results, and every site that uses Google Maps as its mapping and directions engine. Hi-Health should try expanding on its company-wide description to include references to “health food store,” “vitamin store,” or other phrases searchers tend to use. Additionally, each location should have a unique piece of content that describes the location itself, again, using landmarks or streets that locals would use to describe how to get there or where it is. If the location has special features, particularly skilled or specialized employees, or anything similar, that could also make a good addition. Such detailed information may change more frequently and be more difficult to maintain. All in all, Hi-Health looks to be doing the right things well for local search. A true performance analysis would require access to Hi-Health’s analytics, which I don’t have. A quick look at rankings – which, for me, are not personalized for a searcher in Phoenix, and thus not the best measure – shows room for improvement. But an ecommerce site with physical stores could use Hi-Health as a good example for how to set up local organic search.